A Few NEW SCHOOL Breaks! Overall, I was very pleased with the breaks. Everything will be available for trade with the exception of the Ryan autograph. As always, thanks for looking and good luck with your own breaks! It’s time to put this box to rest. Here are the final six packs of the 2002 SP Authentic box. We have another hit for the Braves. 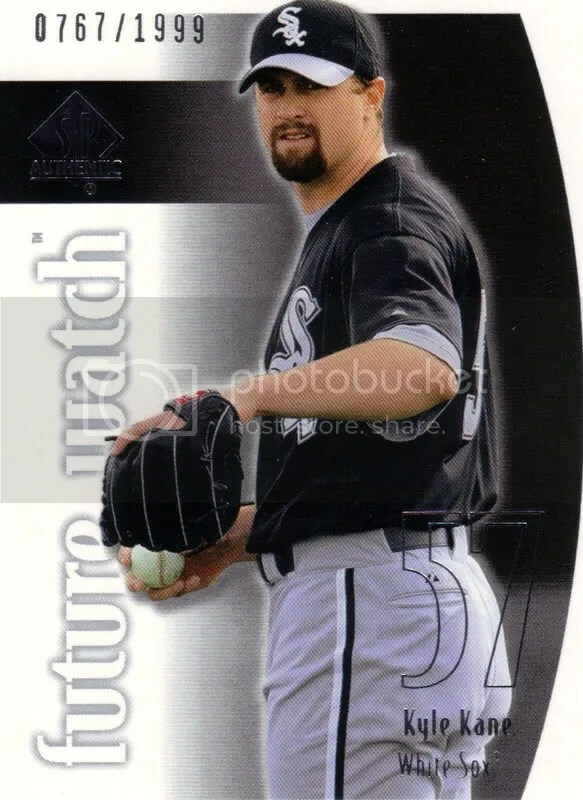 Unfortunately, they badly miscut the jersey on this card. Still, you can’t go wrong with Maddux. Two boxes down, one to go. Our final box, the “mystery” box, is bound to supply us with some star hits. I’ll break that later this afternoon/evening and will hold the random drawing for the surprise I mentioned before. Thanks to everyone who’s been keeping up with this so far! Let’s keep this thing going. Here’s the third quarter of our 2002 SP Authentic box. Finally, a hit for the Braves! Enjoy it Brian. Powell is currently in the Oakland Athletics’ farm system so that card will go to Ted. 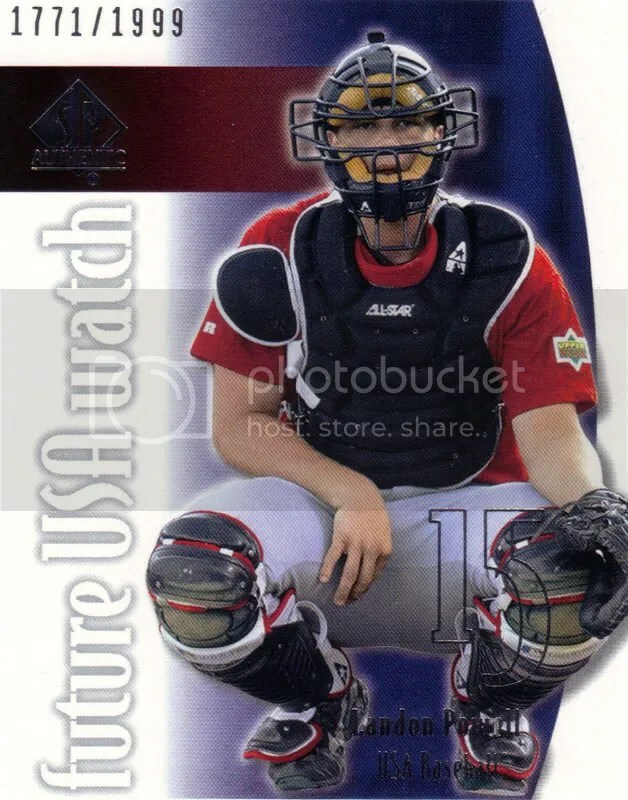 Adam picks up another card with this Kyle Kane Future Watch card. Aubrey is currently in the Cleveland organization so this card goes to MMosley. We’re currently halfway through this box. There’s still a game-used and an autograph somewhere here. Good luck everyone! Here is box 2 of our Old School Group Break, 2002 SP Authentic. Hopefully, this box will spread the hits out a little more than Leaf Certified did. Let’s get started. Yes, the same Mike Gonzalez who saved 14 games for the Braves last season. One hit down, two to go, plus the Team USA cards. Hopefully, we can keep spreading the hits around.